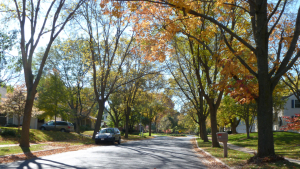 Listed below are homes for sale in Parkwood West, a neighborhood located in Near West Madison, WI. Listings are updated multiple times a day from the SCWMLS. For more information about any of these Parkwood West homes for sale, just click the "Request More Information" button when viewing the details of a property. We can provide you with disclosures, past sales history, dates and prices of homes recently sold nearby in Madison, and more. And, for your convenience, register for a free account to automatically receive email alerts whenever new Parkwood West listings come on the market that match your search criteria. Parkwood West condominiums boast a central location on Madison’s west side at an affordable price. Located just north of Mineral Point Road, Parkwood West is close to schools, businesses and green space. The community is located just south of Mineral Point Park, where neighbors enjoy 10 acres of green space and trails for snowshoeing. The park also extends north via a rolling greenway to Owen Conservation Park, where neighbors enjoy nearly 100 acres of prairie land and forest on an extensive network of trails that offer scenic overlooks of Madison’s west side. Schools are also nearby, with Jefferson Middle School and Memorial High School located just a few blocks west of the community. With businesses, parks and schools all within walking distance of Parkwood West, the community offers its neighbors both convenience and affordability. Parkwood West offers spacious side-by-side units that boast garages and private entrances. Built in the 1970s and ‘80s, many of the units feature finished basements, fenced yards, fireplaces and private patios. Many units in the community can be found priced below $150,000, which makes Madison’s desirable west side a reality for budget-minded buyers. 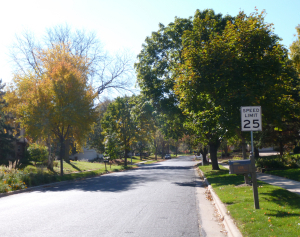 The community is also surrounded on three sides by parkland and single-family homes, which makes the neighborhood a quiet, low-traffic retreat for its neighbors. Parkwood West is located at the heart of the vibrant Gammon Road and Mineral Point Road commercial areas. Schools and parks are all a short walk from Parkwood West, too, which makes the community a desirable choice for families with children. Parkwood West is just blocks from schools with Muir Elementary School, Jefferson Middle School and Memorial High School all just minutes away. Additionally, Parkwood West’s close proximity to Mineral Point Road and the West Beltline Highway also makes for easy travel in all directions. Downtown Madison is about six miles east of Parkwood West, and Middleton is about four miles northwest. For information about finding a home in the Parkwood West neighborhood or to sell your Parkwood West home, contact our team for a better real estate experience. Parkwood West neighborhood is located on the West Side of Madison in MLS area Madison – E11. Below are more homes for sale in that area.